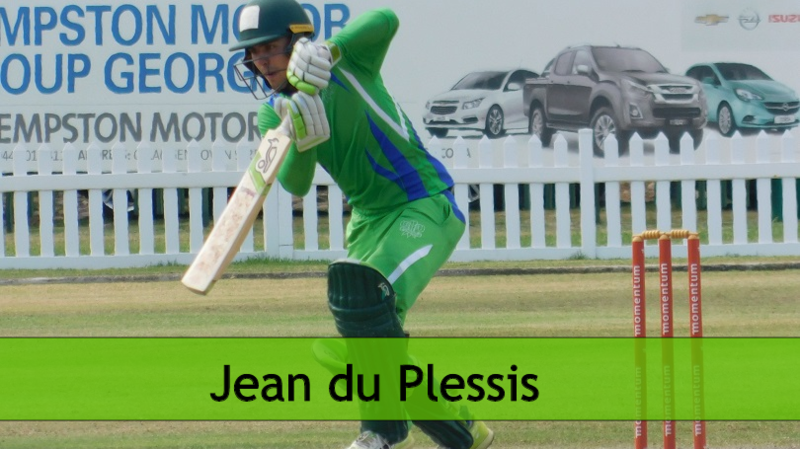 A brilliant batting display by the 20-year old Jean du Plessis and SWD’s premier batsman, Obus Pienaar, ensured a vital 6 wicket victory against KwaZulu Natal in the Cricket South Africa Limited over competition. SWD, who was set a stiff target of 226 – hit the winning runs with two balls to spare in a tense Sunday afternoon at the Recreation Ground. Du Plessis, who narrowly missed his maiden limited over century earlier this season, played a magnificent knock (107 from 138 balls, 1×6, 9×4) and together with Pienaar added a vital 3rd wicket partnership of 144 runs. 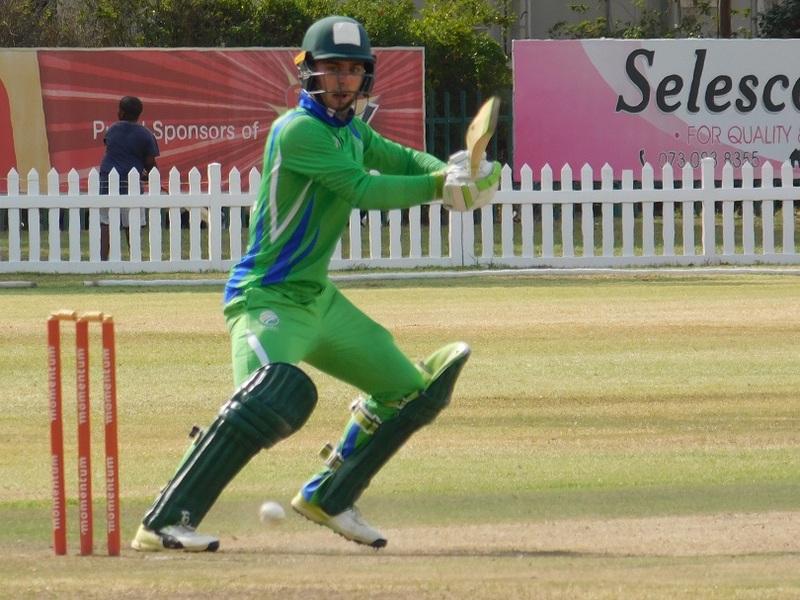 Pienaar’s innings of 78 (not out) from 79 balls – 8×4 – was crucial in the run chase. There was also an important second wicket partnership of 77 runs between du Plessis and Yamkela Oliphant (27). KZN, who won the toss, posted 225/9 in their allotted 50 overs. Three batters, Matthew Montgommery (56), Jason Oakes (56) and Sibenelo Makhanya (52) made half-centuries. Marcello Piedt (2/27 in 10 overs) produced and outstanding bowling performance. He received good support from Herschell Amerika (2/38), Neil Hornbuckle (2/41) and Obus Pienaar 2/49). Like in the three-day competition, Pienaar is top runs scorer in the limited over competition. He aggregate 489 runs at an average of 163 with a century and five half-centuries. Stefan Tait with 15 wickets at an average of 15.26 is the top wicket taker in this competition. SWD is still the log leader in pool B – 28 points after 8 games with Northerns at 25 points after 7 games. 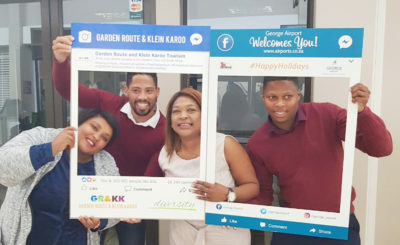 Obus Pienaar and his men will therefore be under huge pressure to win both their last two matches – against Easterns in Benoni and – Eastern Province at home.